OCCUPANCY NOW AVAILABLE. Come be a part of this fantastic shopping center! Verizon already has! 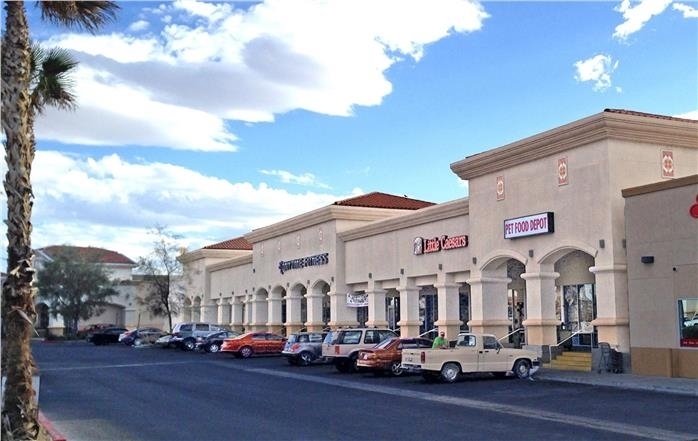 A can’t miss location – this is MAIN and MAIN in Pahrump! We have approx. 5,000 SF available… we are able to divide this to accommodate your needs! Just let us know! Last spaces left…so don’t wait! Generous TI allowance. Quick delivery. Great lease rates and terms! If you want traffic, visibility, and location…this is the center for you! Located in the very busy Albertson’s Center Shadowed by Wal* Mart. Diagonally across from the Home Depot shopping center. Many new homes in the area! Right on HWY 160 Between Basin Rd and Wilson. Basin is a signalized corner. A can’t miss! Traffic! Visibility! Location! Please see attachment “Property Map” link for a view of this location!!! Join, Albertson’s, Denny’s, Radio Shack, Dairy Queen, Verizon, Anytime Fitness, and Little Caesar’s Pizza, and a host of other regional and National retailers. This is a destination center and enjoys business from many outlying smaller communities.